I am a multi-disciplinary designer and business owner. I’ve been designing and coding websites since the early days of the internet. I’ve worked for digital agencies, in-house for large corporations and done a lot of small contract web development work. I have a master’s degree in industrial design from Pratt Institute where my thesis work focused on how products and furniture might facilitate and inspire interaction. My studies took me abroad where I studied furniture design in Copenhagen and worked with internationally acclaimed designer, Marcel Wanders in Amsterdam. 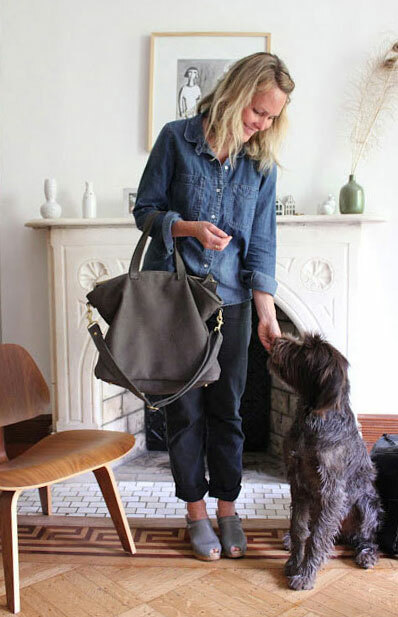 In 2009, I started a handbag design business focused on using reclaimed leather and manufacturing solely in the USA. My first collection was picked up by Barneys NY soon after launching and gained press attention for its innovative use of sustainable materials. As an independent business owner, I have gained much experience and many more skills. In addition to designing and producing handbags, I am also adept at creating a brand, building and maintaining an online store, social media marketing, hiring and managing employees, selling wholesale at trade shows and direct to stores, working with manufacturers, budgeting – and countless other aspects of running a business. Additionally, I am a pretty serious yoga practitioner and received my yoga teacher training certificate through Virayoga NYC in 2014. I love cooking healthy, real food and have read a ton of books on nutrition. For fun and to clear my head, you can find me skateboarding the bowl at Chelsea Piers Skatepark in NYC or surfing Long Beach or the Rockaways.